An aerial view of Melbourne City at sunset, taken from the Observation Deck at the Rialto Towers on Collins St. Houses and townhouses in Melbourne have shown an average property price appreciation of about of 10% per annum in the last 10 years, with some prime areas performing at close to 15%. RESIDENTIAL properties in Melbourne, Australia can be an attractive option for Malaysian property investors, despite the high exchange rate of the Australian dollar vis-a-vis the ringgit (A$1 equals RM3.20) and restrictions on foreign buyers, property consultants concur. The regulatory controls Down Under mean that foreigners are restricted to buying only new properties and not those in the secondary market. Property consultancy CB Richard Ellis (Malaysia) executive director Paul Khong points out that last August, Melbourne was rated as the best city in the world to live in, edging Vancouver, in a survey by global research and analysis resource Economist Intelligence Unit. The survey of 140 cities is based on factors such as government stablility, crime rate, quality of infrastructure, access to quality health care, cultural events, education as well as employment rates. “It is also the second largest city in Australia and its economy is boosted by education. Some cities may experience higher growth rates but they are highly volatile as they depend heavily on mining activities,” points out Khong. 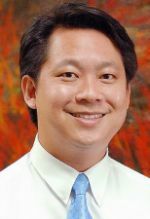 Meanwhile, Jalin Realty International Pte Ltd chief executive officer Ian Chen says statistical data shows that Melbourne has seen substantial growth in median property prices in the past five to six years, compared with other regions. According to Chen, the best advantage about buying in Melbourne, Victoria would be stamp duty savings, which is generally not available in other cities. “The investor who buys off the plan (pre-construction) would only be required to pay for stamp duty based on the current land value, whereas in another Australian city, the same investor would be subjected to paying stamp duty based on the full purchase price (land and building cost combined), regardless of how early he purchases the property,” Chen shares with StarBizWeek in an email interview. Another unique advantage of buying Melbourne properties would be the ability to purchase with the addition of a “and/or nominee” in the contract of sale, which is not available in other cities. This allows the investor to nominate a relative or friend to carry out the purchase. “However, people should not use this as a strategy to buy and flip' properties, but rather as an exit strategy,” cautions Chen. Chen also points out that Australia practises the build-then-sell concept where only 10% of the purchase price is required upon purchase, with the balance payable only upon completion of the property. Chen says that in terms of finance, foreigners can be eligible for up to 80% of the purchase price. However, Khong advises investors to weigh their investment strategies, objective for property purchase, and also plan their timing and exit. “They can also consider London, England. 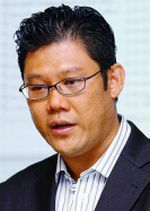 The British pound is about RM4.75 against the ringgit, and there are many good deals to consider, given the present state of the property market over there,” says Khong. According to Khong, in terms of property price appreciation, houses and townhouses in Melbourne have shown an average growth of about of 10% per annum in the last 10 years, with some prime areas performing at close to 15%. Chen points out that landed properties in Melbourne had seen capital appreciation of 8% to 9% consistently for a four to five-year period before 2011. Concerning rental returns for a landed unit in Melbourne city, Khong says Melbourne provides an average yield of 4% to 5% per annum, with the actual vacancy rate at less than 3% currently. Chen concurs, and says with high occupancy rates of up to 98% in inner cities, investors need not worry about renting out their properties. Meanwhile, Henry Butcher Marketing's international projects director Jazmine Goh says foreign investors should look at Australian properties as a mid-to-long term prospect. “Just like other countries, buying a good property in Australian cities such as Melbourne is about location public amenities and infrastructure, good surrounding tenant catchment and if they are receiving any positive transition from regeneration,” she says. According to AUS Property Corp co-founder Steve Galanos, investors may want to focus on property developments in the western and northern corridors of Melbourne, where he says growth is a lot faster and prices are cheaper comparatively. Khong concurs, and points out that prices for new-release apartments in the north and western suburbs are now priced between AUD$7,000 (RM22,362) and AUD$8,500 (RM27,150) per sq metre while similar units in the south and east as well as Melbourne's central business district (CBD) are between AUD$8,500 (RM27,150) and AUD$11,500 (RM36,733) per sq metre. Public transport is more developed in the east. However, Chen advises investors to look into the long term trend of a specific area before making a decision. “There are matured suburbs in the east that show 8% to 11% capital growth yearly which trump capital growth in other corridors,” he points out. Chen says two-and-three bedroom homes in the east or south east would typically be priced from AUD$550,000 (RM1.76mil) onwards. Last November, AUS Property Corp launched a landed residential project in The Lakes at Greenvale, Melbourne. The development, which will consist of 21 units of 2-storey semi-detached houses, was a value proposition, according to Galanos. A typical 1,650 sq ft unit is priced in the region of AUD$360,000 (RM1.15mil). Each unit comes with three-bedrooms, two bathrooms, a powder room and a garage. The Greenvale suburb is located 23km north of Melbourne's central business district (CBD). The Lakes at Greenvale come with a seven-year builder's warranty. Galanos says in the last 22 months, AUS Property Corp's developments have attracted an increasing number of foreign buyers. A house at The Lakes at Greenvale, Melbourne is priced in the region of RM1.15mil. Malaysians, Singaporeans and investors from Hong Kong bought 10 out of 27 houses in the company's Clearwater Rise development in Truganina, 22km west of Melbourne's CBD. Units were priced in the region of AUD$335,000 (RM1.07mil). In the first quarter of 2012, AUS Property Corp is also due to launch single and 2-storey houses in the suburb of Point Cook, which is about 20 minutes drive from Melbourne's CBD. Another release of new houses is scheduled for mid-2012 at Toolern Waters, Melbourne. Meanwhile, Jalin Realty is marketing the second release of a townhouse development in Northcote (6km to Melbourne's CBD). Chen says the first release was a huge success with investors and owner-occupiers in Australia and Malaysia. In mid-February, CB Richard Ellis introduced the The William @ William Street condominium project in Melbourne, which consists of 470 units with sizes ranging from 550 sq ft for a one-bedroom unit to 900 sq ft for a three-bedroom unit. The William @ William Street is the maiden Australian residential project of Hengyi Australia Pty Ltd, a subsidiary of Shandong HYI (Group) Co Ltd.
Henry Butcher Marketing is also promoting two developments in Melbourne, namely Lakeside Central and Coburg Hill. Lakeside Central is a townhouse development located within the award-winning Sanctuary Lakes golf resort. Goh says the Sanctuary Lakes development has amenities such as schools and a shopping mall, and is a five-minute drive to the Point Cook town centre and about 20 minutes via train or a 30-minute drive to Melbourne city. Land sizes are from 2,336 sq ft to 3,294 sq ft, with a choice of 3 or 4-bedroom townhouses. Land prices start from AUD$255,000 (RM814,431) excluding the townhouse which costs about AUD$280,000 (RM894,137). Meanwhile, Coburg Hill is a landed development located 9km north of Melbourne's CBD. Goh points out that Coburg Hill neighbours the Brunswick suburb, which has seen significant growth over the last few years through urban regeneration schemes. “Coburg Hill is designated as the principle activity centre in Melbourne. 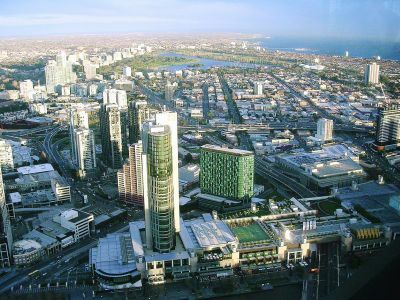 It has a lot of potential and is ranked as one of the top investment hotspots in Melbourne. Properties in that suburb are considered more affordable, and it is getting to be a popular suburb among Australians due to its proximity to the city, its established infrastructure and amenities, as well as the benefits of the gentrification underway,” says Goh.